Print a NEW coupon for $3.00 off 2 NIVEA Body Lotion or Creme Products. 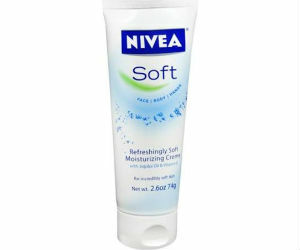 Walmart sells the 2.60 oz Nivea Soft Creme for $2.72. Pay $1.22 each with Coupon.